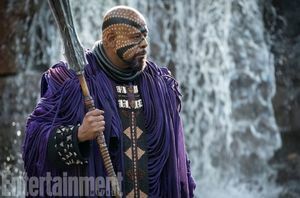 The origin of the Marvel hero Black Panther, chief of the Panther tribe of the African nation Wakanda. 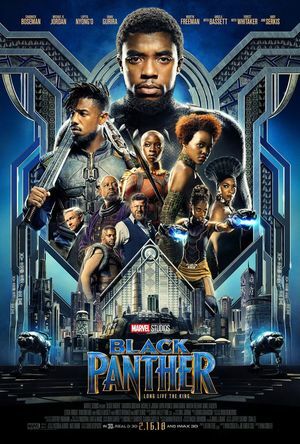 In a world like Hollywood where blacks and other minorities have never been portrayed as superheroes or where more than 90% of the films produced are predominantly based on white characters, I absolutely understand why Black Panther would seem like a huge victory for African Americans; and I would never want to say or do anything that takes that away from them. 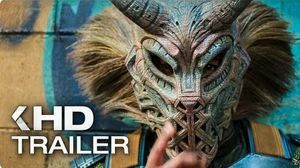 But for an African that was born, raised and still resides in Africa, unfortunately, the movie didn't match up to the hype for me. 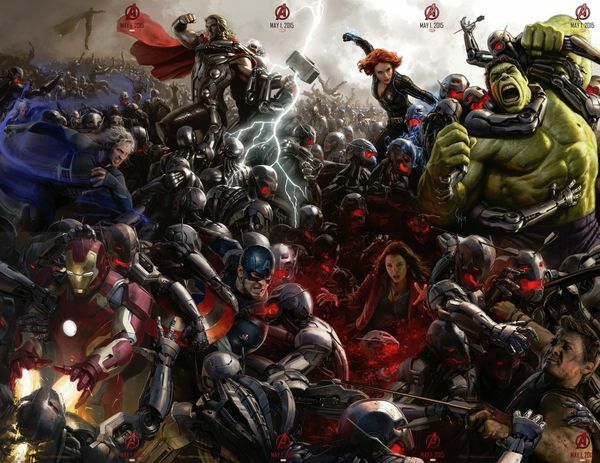 The eighteenth installment of the Marvel Cinematic Universe doesn't disappoint. This is Black Panther. 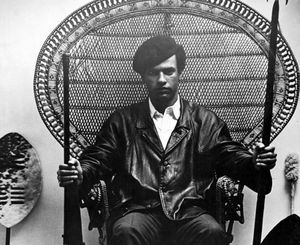 — The Black Panther character first appeared back in 1966 in Marvel Comics. The character was created by Stan Lee and Jack Kirby. 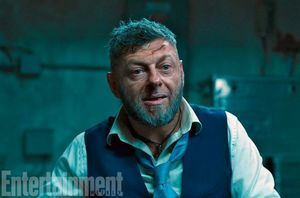 The character debuted in the Marvel Cinematic Universe in 2016 during Captain America: Civil War. 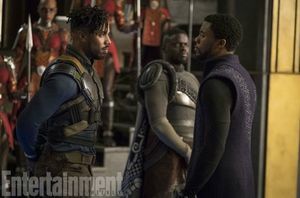 T'Challa must come home to Wakanda and take his rightful place as king. When comes power, then comes controversy. 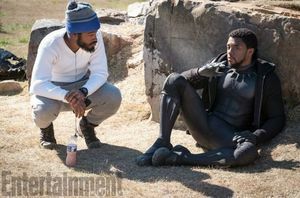 Chadwick Boseman stars as the titular character Black Panther. 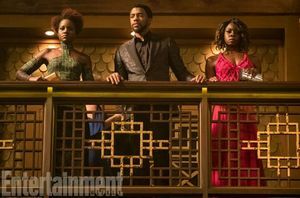 The rambling below contains spoilers to Black Panther. 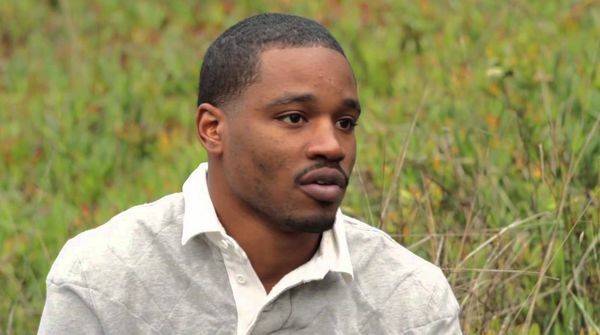 — Just how angry is Ryan Coogler, If he is at all? That’s been one of the questions on my mind having seen ‘Black Panther’. 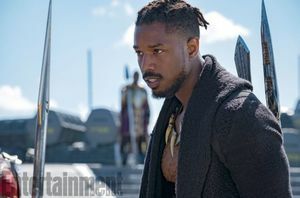 Marvel gave Coogler the keys to the Black Panther vehicle and he took them to the promised land, delivering an incredibly personal film, opening up his soul to reveal a whirlwind of heartache, frustration and fury. 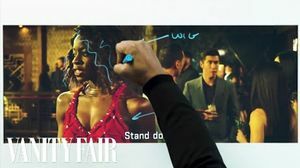 Step inside the mind of Ryan Coogler's creative process and you'll find yourself not wanting to leave. He is a gem. 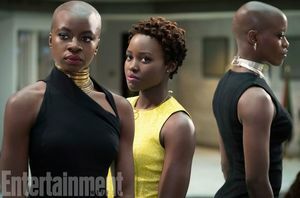 — In Vanity Fair's latest ‘Notes on a Scene,’ Director Ryan Coogler gives fans a spectacular micro-look at Black Panther’s covert casino mission featuring Nakia (Lupita Nyong'o), Okoye (Danai Gurira), and T'Challa (Chadwick Boseman) in their attempts to capture Wakanda's number one enemy, Ulysses Klaue (Andy Serkis). 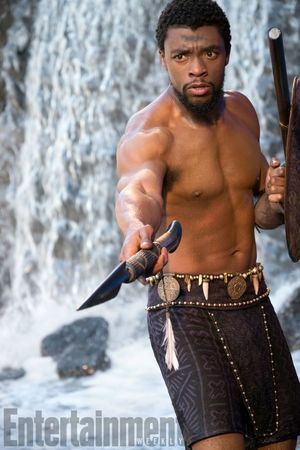 My biggest fear going into ‘Black Panther’ was that director Ryan Coogler would serve up a righteous narrative fuelled by Fela’s ‘Water No Get Enemy’. A story riding milking the idea of the untouched African country, untainted by European occupiers and firmly in control of its destiny. 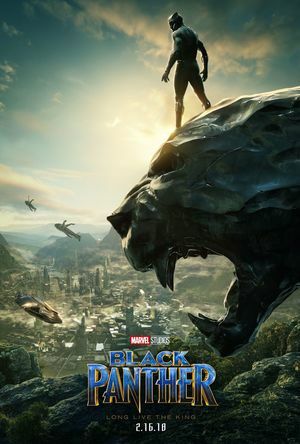 Conceived by Stan Lee and Jack Kirby in 1966, the cynic in me regards Blank Panther and his kingdom Wakanda as a mere utopia for the white gaze and an antithesis of the distressing dysfunction of the continent. This sentiment informs this paragraph, which I penned weeks before I actually saw the film. 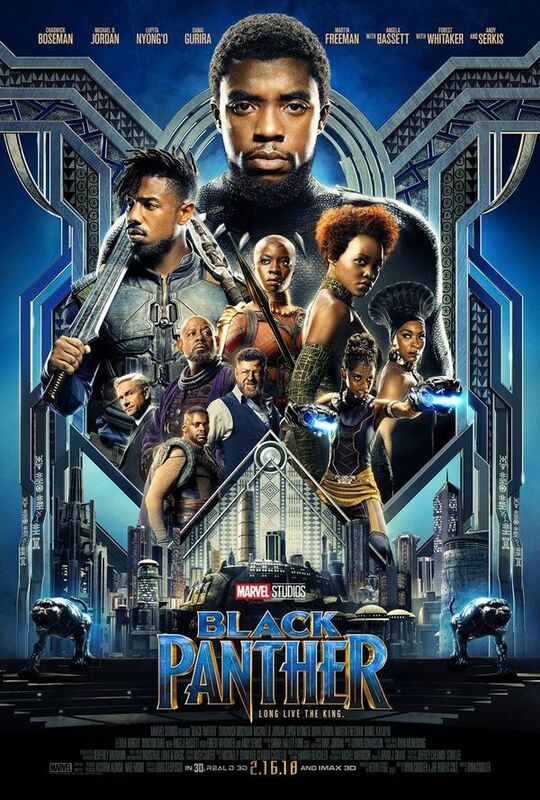 As I struggle to get a ticket for Black Panther... — The critically acclaimed superhero film Black Panther is currently tracking a $200 million opening weekend over the four day Presidents Day weekend. Right now Disney is only suggesting the film will make $172 million to $198 million in its opening weekend. Still a very impressive feat. 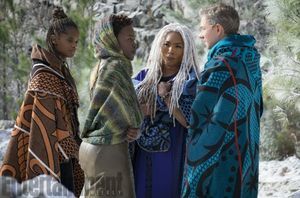 Black Panther generated $25.2 million during the Thursday previews. 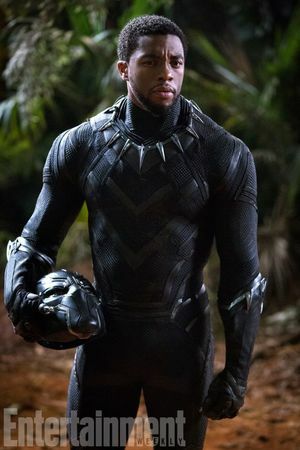 The Black Panther character was first introduced to the Cinematic Universe in 2016’s “Captain America: Civil War”, with “42” and “Get On Up” actor Chadwick Boseman in the role of Marvel’s prominent African American superhero. 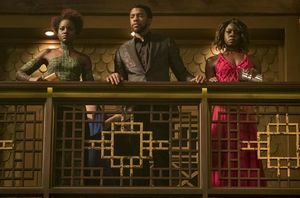 This new solo movie, which picks-up just days after the events of “Civil War“, has a distinct feel and style which separates it from all of the studio’s previous releases. Is that good or bad? Jane Tomato reviews Black Panther for @FilmGob — Don't believe the hype, Black Panther is a stodgy tale of internecine feuding, like Thor but more African looking. 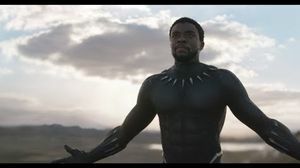 An insipid, soulless, and overproduced bore in which the superhero T'Challa doesn't get to do much of the 'jump around beating-up bad guys' thing that Marvel delightfully fed us over the past 10 years. The giddy exuberance is gone, with no Baby Groot in sight. 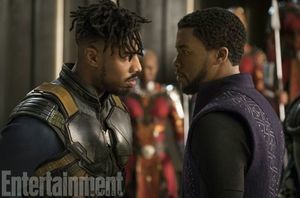 What is here is Michael B Jordan, doing that angry face he does. 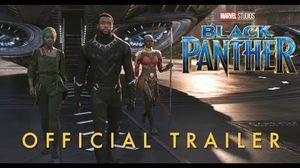 Marvel's latest trailer rouses excitement in ways we are least afforded in this day of superhero fandom. — "I have seen Gods fly. I've seen men build weapons that I can't even imagine. I've seen aliens drop from the sky, but I have never seen anything like this." 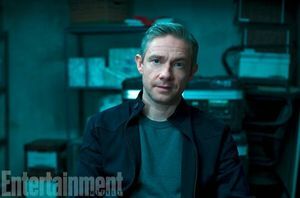 It is THIS, Martin Freeman's character refers to as Marvel's latest standalone, Black Panther - directed and co-written by Ryan Coogler (Creed, Fruitvale Station) and set in the most prominent Bantu African nations run by non-white male and females. Need I say more? 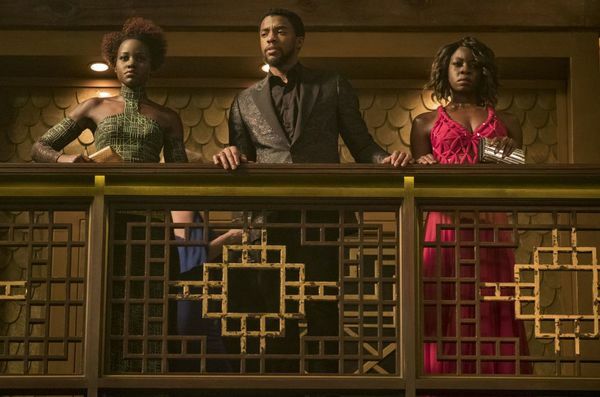 Get Out star Daniel Kaluuya, who is part of the incredible cast lined up for Black Panther, has made a bold claim when hyping up the upcoming solo film, comparing it to beloved HBO series Game of Thrones. 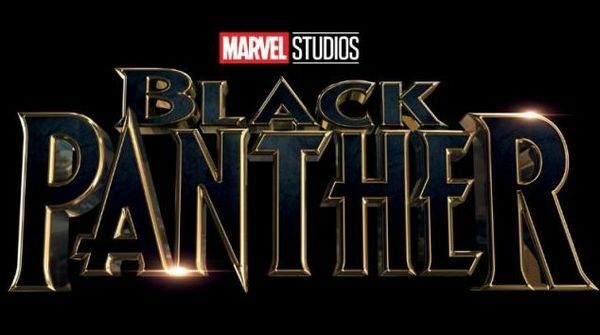 Ryan Coogler's Black Panther has begun filming in Atlanta, with Chadwick Boseman reprising the role he played in last year's Captain America: Civil War as he returns to his homeland Wakanda, to be joined by a stellar cast. 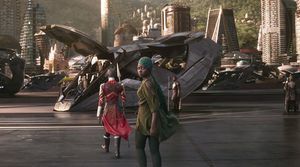 The official synopsis has been revealed, which also has some little hints at what we can expect from the upcoming MCU film. 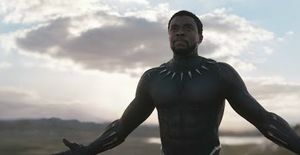 Black Panther made his first mark in Captain America: Civil War, and his solo film is promising to be one of the most intriguing projects out of the MCU to date. 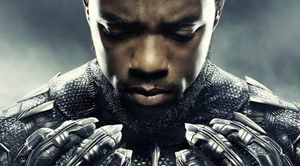 Ryan Coogler is at the helm, and new reports have surfaced that indicate the film will flash back to T'Challa's early years while he attended school in America. 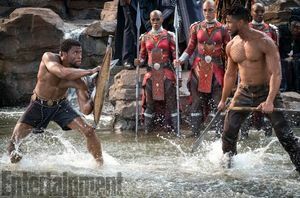 Black Panther's cast is immense and impressive already, and it's now added yet another talented actor. 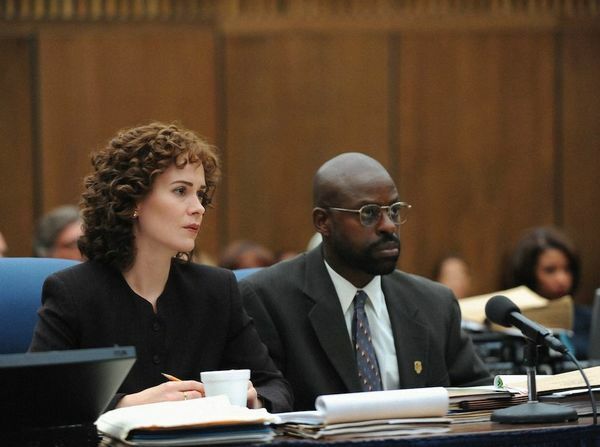 Emmy-winner Sterling K. Brown has joined the picture, which is currently in production. 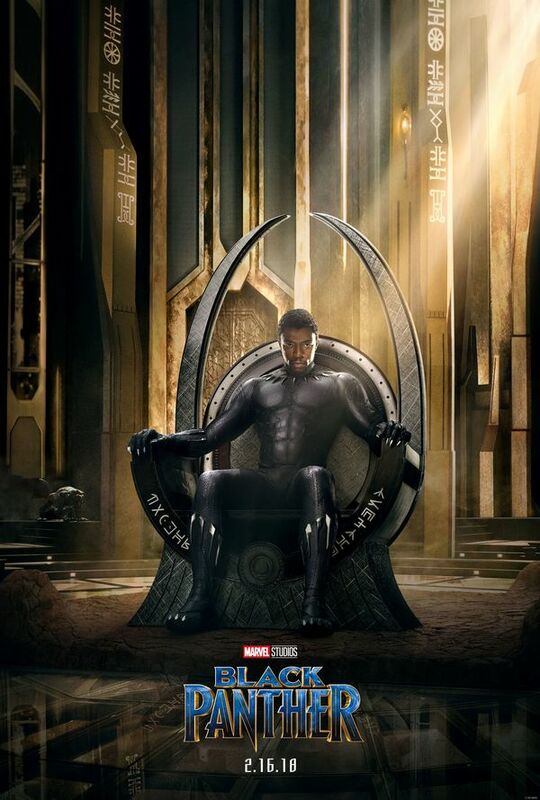 2017 promises to be another big year for Marvel (as will 2018, 2019, 2020, and so on), and it looks like Black Panther is heading into production. 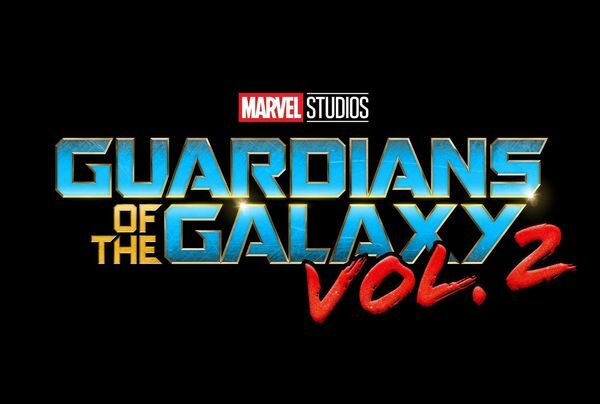 Filming begins on the highly anticipated Marvel film on January 15, 2017, in Atlanta. 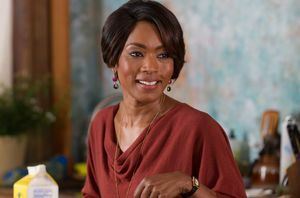 Angela Bassett has seen her rise to fame in recent years through American Horror Story, and has now been cast as T'Challa's mother, Romonda, in Marvel's Black Panther. It adds to what's become one of the most stellar and talked about casts in recent memory. Letitia Wright is set to back up her appearance in next year's Ready Player One from Steven Spielberg with a dip into the Marvel pool, set to play an as-yet-unknown role in the upcoming Black Panther film. Marvel Studios is in a renaissance period. Marvel is living off the success of Captain America: Civil War. 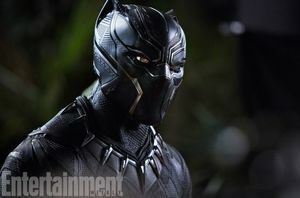 In Civil War, Black Panther is introduced and is definitely grittier than the rest, and is played by Chadwick Boseman. 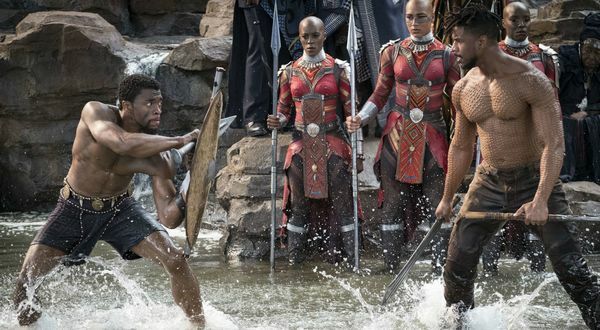 With the solo Black Panther film coming soon, star Chadwick Boseman has spoken with EW on how he sees the hero of Wakanda, a community that has found itself thrust into the world of Avenging following Civil War. 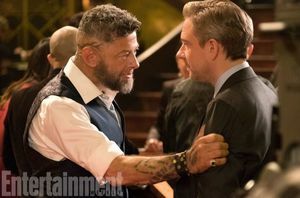 Marvel Comics has been creating a unique universe of television and films. Black Panther is a long awaited film for comic fans. — Although Marvel films have plenty of drama, they are usually funny, light, and charismatic. DC Comics usually goes for a darker, more in-depth style. I personally enjoy both styles of film. Captain America: Civil War has launched phase 3 with huge success, and in the near future we'll be seeing Doctor Strange and Spider-Man: Homecoming, with Black Panther soon after. 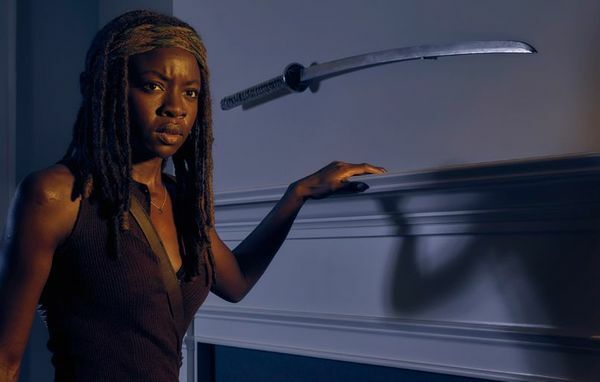 The Walking Dead's Danai Gurira is the latest to join Black Panther, revealed at the Marvel panel at SDCC. 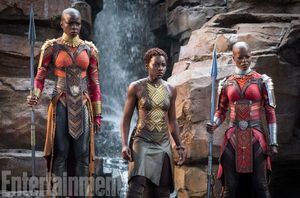 Gurira is set to play Okoye, head of the elite Wakandan security force, the Dora Milaje. If you have not seen Captain America: Civil War turn back now. Spoilers are ahead. — During the Wizard World convention in Philadelphia. Sebastian Stan who portrays the Winter Soldier in the Marvel Cinematic Universe was asked an interesting question. Update: John Boyega's agent has taken to Twitter to put a halt on rumours of Boyega's attachment to the film: — "My client@JohnBoyega will not be starring in Black Panther. Now for the news..."
Black Panther is already building up a seriously solid cast, and Ryan Coogler seems like the perfect man to helm the upcoming superhero picture.Recently, he spoke on the challenges of transitioning from indie filmmaking to Hollywood blockbusters, and seems intent on bringing the same personal engagement to Black Panther as he did on Fruitvale Station and Creed. 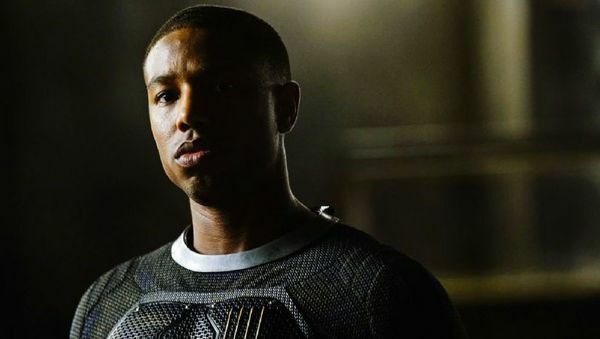 Michael B. Jordan is set to continue his collaboration with director Ryan Coogler, having been cast in the upcoming Marvel solo film Black Panther. 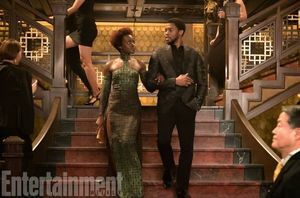 — Chadwick Boseman is the lead hero while Lupita Nyong'o is reportedly in negotiations to join. So far, it's shaping up as an impressive cast. 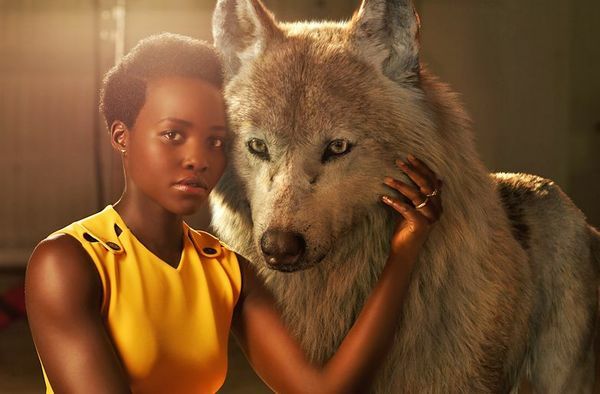 Lupita Nyong'o has been rising in stature ever since her award-winning role in 12 Years a Slave. 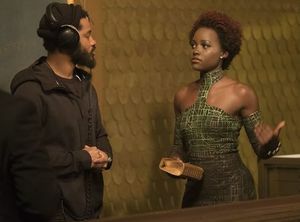 Now, the actress is in talks to join the Ryan Coogler-directed next solo chapter in the MCU, as Black Panther's as-yet unnamed love interest. At just 29 years of age, Ryan Coogler stands out as one of the younger competitors in the directing chair of feature films, and is coming off a fantastic 2015. In the aftermath of Fruitvale Station and then the hugely successful Creed, it looks like 2016 is going to get even better. 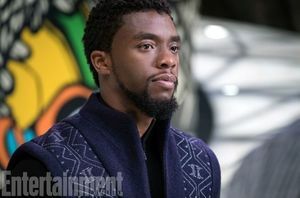 It had been long rumoured that Marvel were going to offer Selma director, Ava DuVernay, the directing gig for their upcoming Black Panther movie, which is set to star Chadwick Boseman as the titular character. 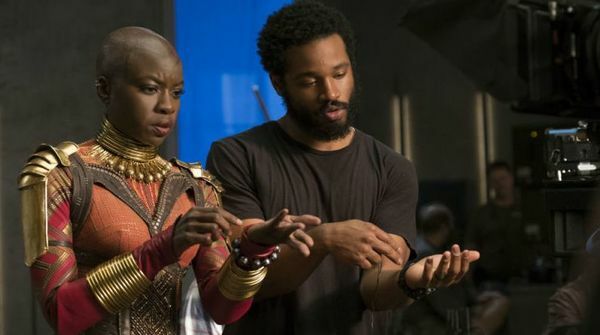 Last weekend, Marvel Studios President Kevin Feige announced the studio will hire the directors for 'Black Panther' and 'Captain Marvel' very soon. 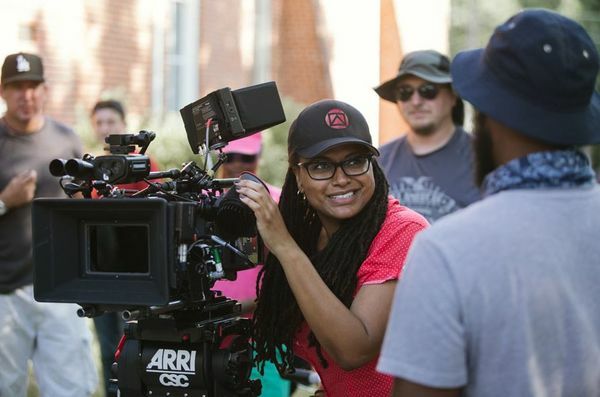 One name that has been linked heavily with the job is 'Selma' director, Ava DuVernay. 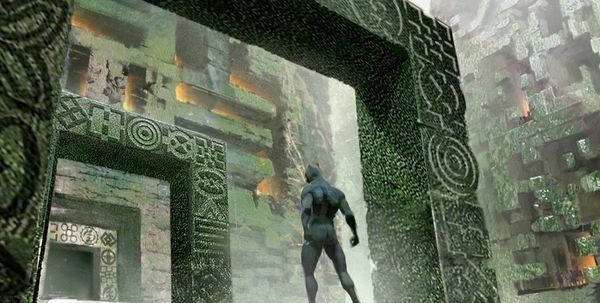 Feige said they have spoken about possibly helming 'Black Panther.' 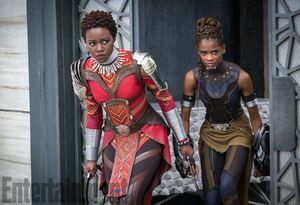 However, DuVernat spoke with Essence, via Variety, and claims she won't be directing the film. 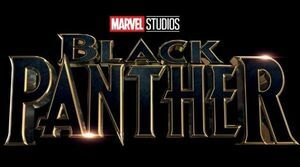 Marvel President Kevin Feige has confirmed the studio is planning to have directors signed up for Black Panther and Captain Marvel soon. — Feige was interviewed by The Hollywood Reporter recently where he was asked about the directing jobs for the upcoming movies. "I think by the end of the summer, we’ll have most of those things. 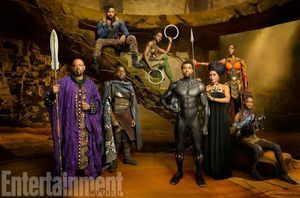 Black Panther especially," he said.